Woebcken: No social media footprint. FRANKFURT -- In the struggle to win back the hearts and minds of American buyers, Hinrich Woebcken is Volkswagen's new secret weapon -- emphasis on secret. The 55-year-old industrial engineer who takes over as the VW brand's North American chief in April has kept a remarkably low profile throughout his career. His resume aside, little is known about Woebcken (VUB'-kin), including why he was the best candidate for the post or what approach he will take when he starts the job. The furthest his new boss, VW brand chief Herbert Diess, goes to tout his qualifications is a reference to his "international experience." One thing appears clear -- he isn't one to hog the spotlight. Colleagues from former employers said they barely knew the man, judging him as someone who seemed happy to stay in the background and avoid the public eye. There's no social media footprint of him, either. Whether it's Facebook, Twitter, LinkedIn or its German equivalent, XING, no traces can be found. Woebcken was unavailable for comment, and VW spokesmen in Wolfsburg declined to discuss his job history or attributes beyond the press release last week announcing his appointment. The company declined to say even whether Woebcken is currently a VW employee. "I think he doesn't want to create the impression that he's making a big show of himself before ever having even started, since it might come across the wrong way within the company," one source at Volkswagen said. "It wouldn't be the first time that someone feeds too much information to the public too soon, only to see it come back to haunt them." Starting in April, development, procurement, production and sales will be bundled together under his command. That means every component bought, every car sold and every employee hired from Yukon to the Yucatan -- including the $900 million investment in the B-SUV in Chattanooga and the Mexico-built long-wheelbase Tiguan slated for launch next year. That much is known, but whether he will focus on strategy, operations or political cleanup is unclear, according to several sources at the company. 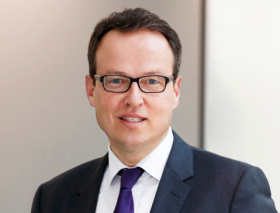 Given Woebcken's low profile, there is little to suggest he plans to replace VW of America CEO Michael Horn as the public face of the Volkswagen brand. A VW of America spokeswoman said Woebcken is expected to have an office at the VW Group of America's headquarters in Herndon, Virginia. Bolstering the VW brand's weak position in the U.S. traditionally has been a tough job, but the scandal surrounding VW's fraudulent diesel engines has made it even more difficult. Volkswagen CEO Matthias Mueller's misstep this month in Detroit, in which he characterized the illegal use of a defeat device as a "technical problem," has not made things any easier. Woebcken's eminently qualified predecessor, Winfried Vahland, decided in October to leave the company after 25 years rather than take the same post. Vahland, who ran the group's highly successful Czech unit Skoda and was a known troubleshooter, had been handpicked for the job by former group CEO Martin Winterkorn. He was made responsible for groupwide activities in the region, not just the VW brand, and was even offered a position on the management board of the VW brand under Diess. Neither perk applies to Woebcken, however. Woebcken spent his entire career on the components and procurement side of the business in Germany, working for Tier 2 and Tier 3 suppliers that include plastic injection molding company KraussMaffei, automotive paint shop manufacturer Duerr, where he was head of sales and marketing, and most recently commercial truck brake manufacturer Knorr-Bremse. A source at one of his previous employers said: "He was always very serene with a steady hand." In between supplier jobs, he had a 10-year stint at BMW's purchasing operations starting in 2004, where he served under Diess, then BMW's head of purchasing. At BMW, Woebcken was a division manager, one of roughly 50 executives groupwide who report directly to the management board. In his last BMW post, he was responsible for purchasing parts related to driving dynamics. In his most recent job, he was head of the commercial vehicles division of Munich-based Knorr-Bremse. After barely more than a year, he left the company "to take on a new professional challenge" at the end of June 2015, according to a Knorr-Bremse press release at the time. And as for the new North American chief's low profile, a VW source said, "just because he worked in the background doesn't necessarily say anything about his qualities or whether he can perform in the job."